Eric Byers joined NDCS in early 2019. He completed his undergraduate studies at Kent State University and his Master of Arts - Secondary Education at Liberty University. He is currently pursuing his Doctor of Christian Education from Andersonville Theological Seminary. Mr. Byers enjoys mentoring students and helping to prepare them for leadership. His goals for NDCS are to provide for sound pedagogical practice that is backed up by best practices and that emphasized accountability across the board. He also wants the school to be a warm and exceptional environment where students can obtain a quality education, and well-rounded personal development. 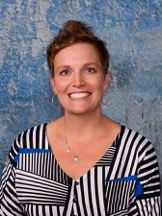 Heidi Mace started her employment with NDCS in 2011 as the Administrative Assistant to the school Administrator. In the following years, she became involved with all the school fundraising and development work and created the role of Development Associate. Before coming to NDCS Heidi was a stay at a home mom after retiring from the Pennsylvania Commission on Crime and Delinquency. She is married to Wayne and they have two teenage daughters who attend NDCS. Sara English is in her 12th year of teaching at NDCS. She attended Cedarville College in Cedarville, Ohio, majoring in Elementary Education. In 1991, she accepted her first job; teaching 5th grade in Albany, NY where she taught for three and a half years. After moving due to her husband’s job, she taught one year of pre-school in Dumfries, VA, and then two years of high school English in Mechanicsburg, PA. For the next nine years she would be a stay-at-home mom to her three children. When they began to attend NDCS, she enjoyed volunteering and substituting. When a full-time sub position became available in January of 2005, she applied for the position. By the end of that school year she was hired to stay on as a full-time Kindergarten teacher. This is the position she has held since then. In her spare time, Sara loves to read, spend time in her garden, and play piano. Lyndsay graduated with a BSE in Elementary Education from Mansfield University. She has been employed with NDCS as the 1st grade teacher since 2012. She teaches all subjects to 1st grade and has even served as music teacher for kindergarten through sixth grade. She is also our archery head coach. Lyndsay helped get the NASP (National Archery in Schools Program) off the ground in our school in 2015. She has been instrumental in taking the middle school team to States two years in a row. Her hobbies include archery, running and crocheting. Whitney has worked in the early education field for over 15 years after graduating from Millersville University. She began her career with NDCS in 2009. Recently, she has taken on a new role as dual second grade teacher. Whitney teaches them Bible, history, science, and health in the afternoons when her pre-school classes are over. She loves working at her church in the children and youth ministries, cooking, reading, and spending time outdoors with her family. Michelle or ‘Mickey’ as most call her, started out as a substitute teacher and evolved into a part-time 2nd grade teacher at our David’s campus. 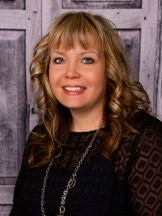 She has a Bachelor’s degree in Kindergarten & Elementary Education from Bluffton University. She is responsible for teaching the 2nd graders phonics, reading, spelling, language, handwriting, and math. She is married to Chuck, who is the pastor at Free Grace Brethren in Christ Church. They have 3 adult children: Jonathan, Ethan, and Abbey. Megan Evans started her career at NDCS in 2014, teaching a weekly discipleship class with the junior high girls. She graduated from Lancaster Bible College. In 2016, she began assisting Whitney Lenker as an aide in the Early Education Center. This year, she continued assisting Whitney with EEC in the morning and assisting Sara English’s kindergarten class in the afternoons. She enjoys serving at church with her husband who is Associate Pastor at David’s Community Bible Church and playing board and video games with her family. Andy came to us with a lot of experience. She began with a MS from the University of Nevada. She then went on to receive a certification from Maryland Advanced Professional with endorsements in elementary education 1-6; middle grades science 4-9; physical education K-12; and special education. She had previously taught for nine years in Nebraska, 28 years in Maryland before joining the NDCS staff five years ago. Andy’s hobbies include breeding and raising Beagles, renovating and beautifying her Halifax farm home, sewing, needlework, and crafts. Katia is a second year teacher at NDCS. She is the 3rd and 4th grade teacher this year working side by side with Cathy Klinger. She received her Elementary Education degree from Lancaster Bible College in 2017. When she isn’t at school she enjoys spending time outdoors and going for walks with her family. She is also newly married to her husband, Keith. Barb Kimmel has two roles at NDCS, she is currently a teacher’s aide for Kindergarten through 6th grade students. She has always served as the art teacher for 8 years to grades Kindergarten through 6th grade. She began teaching art as her parental involvement for her two sons that attended here. She also taught library for two years as well. She has continued to be a great asset to our staff over the years. When Barb isn’t working she enjoys going to the beach and doing crafts. Cathy’s career began with NDCS in 2006 as a Language Arts teacher. She was full-time for two years starting in the 2007 school year and then just did substituting at NDCS. This year Cathy has returned as the Language Arts teacher for grades 3rd through 6th and a 4th grade history teacher. She serves at church as pianist and praise team vocalist. When she isn’t teaching she enjoys baking, riding, bike, and spending time with her grandchildren. Cathy is also responsible for writing the school song, We Come Together. Upon graduation from Messiah College with a degree in elementary education and concentration in juvenile justice and delinquency, Connie received a master’s degree from Wilkes University in teaching and curriculum. She went on to use those degrees to teach for 5 years in a self-contained 6th grade classroom at Lawton Elementary in the Central Dauphin School District. After those 5 years, she took a break from teaching to raise her 2 children. When a position opened at NDCS she decided to apply for the position. She began teaching their 3rd and 4th grade classroom for 4 years and then transitioned into the 5th and 6th grade classroom, where she has continued to teach for the past 3 years. She enjoys participating in dramas at her church, exercising, reading, crafting, and driving her children around to their soccer games. 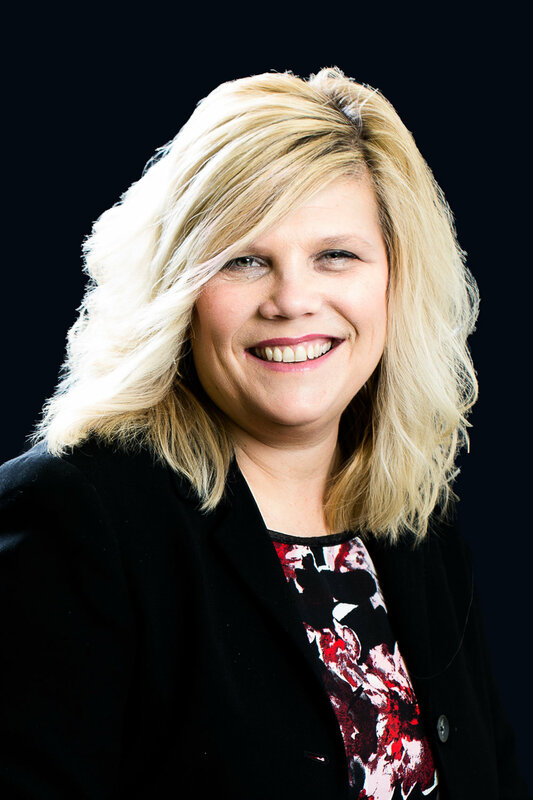 Andrea graduated from Penn State with Bachelor’s degree in Communication Disorders, than after she married and had 2 children she went back to Penn State for a second Bachelor’s degree and certification in Elementary education. Over the next few years she worked as a substitute at local schools such as Line Mountain, Upper Dauphin and Millersburg. She began her career at NDCS as a first grade teacher for one year. But then transitioned into the upper grades and has since, mainly taught math and science to grades 5th and above. When she’s not teaching she enjoys reading, hiking, gardening, and spending time with her family. Miss Hackett has wanted to be a teacher from the time she was inspired by Mrs. Herb’s love of the English language in seventh grade. Much of her adult life has been about teaching people in some capacity. She has been a Sunday school teacher for as long as she can remember. But, her classroom teaching experience began as a substitute while she was working on her Master’s degree. She visited NDCS in the spring of 2006 and fell completely in love. She knew immediately and without a doubt this was the school where God intended for her teach. She began teaching at NDCS in the 2005-2006 school year and has been here ever since. Filled with a love and passion for great literature and God’s gift of language, she feels blessed to be able to share those subjects with her students. She continues to teach English language arts, literature, speech, and humanities classes to middle and high school grades. In her spare time she enjoys reading and writing, directing and singing with her church choir, and practicing her flute which she has been playing since the fourth grade. She is thankful that she can share these hobbies with her students and coworkers, too. It has been her immense pleasure watching God work in, and through, the families represented by NDCS. Witnessing by faith of fellow staff members, board members, students, and family members as God has grown NDCS has been of the greatest blessings of her life. Please see our employment opportunity page if you are interested in applying for this position. Tom began working with NDCS part-time in 2013 and is now a full-time teacher at our secondary campus. His main focus at NDCS is teaching history to the secondary students and thoroughly enjoys his mission minded Monday class. This class allows him to help navigate the students through a journey of serving needs to the public. He enjoys taking the students on local mission trips as part of this class and taking his history classes on regular field trips. When he isn’t working he enjoys reading, hiking, Gettysburg battlefield study, history, and writing.